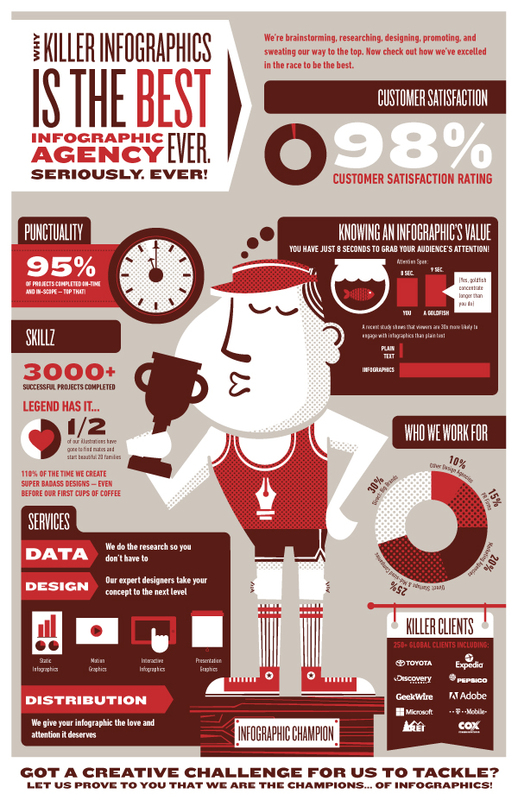 An Ad Agency Infographic Leave Behind - Peter Levitan & Co. I am doing research for my book(s) on advertising agency pitching. While collecting thoughts on post pitch leave behinds, I came across this infographic for Killer Infographics, an infographic design agency in Seattle with clients like Pepsico, Toyota and Expedia. Makes sense that they would employ an infographic to deliver their info. Makes sense to consider using infographics as a new business pitch leave behind. If you have any wonderful examples of leave behinds, send them my way. I am going to build a website to support my book and will have a leave behind gallery. Thanks. This entry was posted in Marketing, New Business and tagged ad agency, new business, Pitching. Bookmark the permalink. Trackbacks are closed, but you can post a comment.